As a boy growing up in Baltimore, Aaron Becker ’96 knew a trick: when he drew pictures, he became all-powerful. 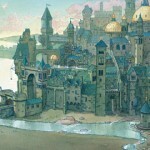 “Drawing was a way of making sense of what life was about,” Becker says, “On a piece of paper I could make all the rules that I wanted to.” This year, with the release of his debut children’s book, Journey, Becker has created a world that invites its audience to follow the spirit of that child of years ago. Journey features a girl who uses a magical pen to slip from her distracted family to a rich world of her own timbre. With not a single word of text, Journey unfolds over 40 pages of captivating illustrations, detailed but not busy. The book has won widespread positive notice. Amazon included it among its “Best Books” for young readers in summer 2013 while the New York Times called it a “masterwork.” School Library Journal placed the book on its list of contenders for the Caldecott Medal, the most notable award for picture books. 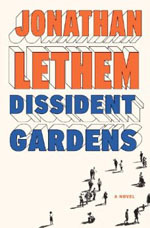 Though it is set in Queens, Pomona College Professor Jonathan Lethem’s latest novel, Dissident Gardens, contains a fun little nod to his SoCal college home. Deep in the novel about “three generations of All-American radicals,” as Lethem is unspooling a bit of background about purist music teacher Harris Murphy, we learn that Murphy was part of the short-lived duo which contributed one song to the anthology LP Live at the Sagehen Cafe. For those who are decades away from campus life, the Sagehen Cafe is the sitdown eatery in the Smith Campus Center, adjacent to the Coop Fountain. Lethem says it is the only Pomona allusion he dropped into the book (available Sept. 10), but he did pass along the news that Thomas Pynchon’s new novel, Bleeding Edge (available Sept. 17), also set in New York, contains a brief reference to Pomona College in its first few pages. More from the magazine about Jonathan Lethem, Pomona’s Roy Edward Disney ’51 Professor in Creative Writing. 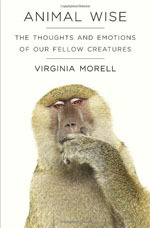 Update on 07/24/13: Animal Wise by Virginia Morell ’71 was one of the top three picks in the SciAm Summer Reading Poll! 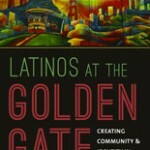 Join Morell in a Google Hangout with the other two authors on Friday, July 26, at 9 a.m. PST. The editors of Scientific American are offering readers a chance to vote for their favorites among 50 new science books that were recommended by the magazine’s staff and contributors, and a pair of Sagehen authors appear side by side on the online ballot. All Natural by Nathanael Johnson ’01 is right next to Animal Wise by Virginia Morell ’71. Fortunately, you are allowed to vote for up to three tomes. In his new book, The Leading Man: Hollywood and the Presidential Image, historian Burton Peretti ’82 explores how Tinseltown and the U.S. presidency are sometimes strange, sometimes highly compatible bedfellows that build a relationship based on mass communication. “It may seem surprising to claim that a president or other politician could cross over to the fantasy world of the movies, but it has happened,” Peretti writes in his introduction. 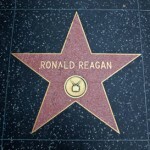 “Such transformations have, in fact, been a major development in American political history.” So did Hollywood seek out presidents or did presidents seek out Hollywood? Peretti says the answer is yes and yes. The attraction was mutual. “Presidents were fascinated by the cultural power wielded by the movies, while moviemakers were drawn to the dramatic realm of power in the real world,” says Peretti. 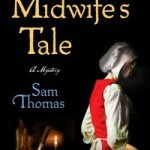 The Midwife’s Tale by Samuel Thomas ’91 mixes, history, fiction and murder mystery. A determined midwife and her knife-wielding servant set out to solve a murder mystery in Samuel Thomas’ first novel, The Midwife’s Tale, released in January. Thomas, a historian and former professor focused on Reformation England, weaves together fact and fiction to tell the story of Bridget Hodgson, the midwife and her servant Martha, both real women living in 17th century England. Thomas (Pomona College Class of 1991) takes his readers into Bridget’s world during the siege of York, not only creating an exciting mystery story but also revealing the complex political and religious issues of the era. The Midwife’s Tale has been met with positive reviews and is the first release in what is to become a four part series. Thomas now resides in Ohio and teaches high school history in addition to writing novels. He talks midwives, mystery, writing and more in the abridged and edited interview below.
. Romy Natalia Goldberg ’02 spent four years exploring Paraguay by foot, bus, train and VW camper van, gathering information for a travel guide recently released by Other Places Publishing. Along the way she found community and adventure in the South American nation’s busiest cities and its most remote spots, traveling through fields of sugar cane to stunning waterfalls and on flooded roads to vibrant local carnivals. 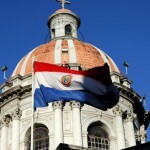 Goldberg’s travel guide complements her website and blog on Paraguay, making her research efforts some of the most comprehensive for prospective visitors. Nathanael Johnson ’01, who wrote an interesting piece for PCM about C-sections a few issues back, has a new book out. The award-winning journalist who has written for Harper’s and produced stories for NPR says he spent his whole life preparing for All Natural: A Skeptic’s Quest for Health and Happiness in An Age of Ecological Anxiety. 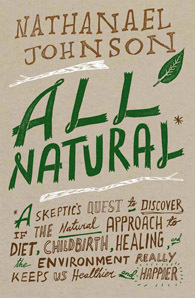 Raised in an “all-natural” family, Johnson is drawn to the controversies over natural birth, diet, the environment and alternative medicine—all ultimately as a way to understand his family and early childhood. In All Natural he examines both the polarization and nuances involved in determining whether the natural approach to living really is best for humankind. I grew up in a family that really believed that many of humanity’s attempts to protect itself from nature were misguided. For instance, my dad insisted that I go diaper free as a baby because he thought that the natural perfection of my developing pelvis would be deformed if I constantly had a big wad of absorbent material between my legs for two to three years. Part of me starts to scoff, but then I’d think, “That actually is a plausible hypothesis.” It’s hard to assess because stories in the popular press written about the all-natural constellation of concerns are usually utterly dismissive, or utterly credulous. What was the most challenging aspect of writing it? I had no idea how to organize it at first, and if I’d been lazy it would have just been a series of essays without any narrative through-line, and without any larger argument. So I resolved to build the book around the development of my thinking – to tell stories from my all-natural childhood, then bring the reader along as I fact-checked the family ideology. I spent days cutting chapters apart with scissors and moving the sections around. The process is like working on a big puzzle, but all the pieces are invisible – you have to hold them in your mind. And to complicate things even more, you can change the shape of any piece, or decide that it’s actually part of a different puzzle. Were there are startling realizations during your research? Lots! I was surprised to learn that childbirth is getting more dangerous in this country, and that more U.S. citizens are killed by unnecessary medical care than the numbers who die because they can’t get access to care. I was shocked and bemused by the way the demands of modern America have reshaped the bodies (and the mating habits) of pigs. I expected to find at least one blind spot in the orthodoxy about vaccination, because so many intelligent, admirable people are worried by shots, so I was amazed when every fear and theory about the dangers of inoculation led to scientific dead ends. Are you working on any writing projects now? I started keeping a journal when my daughter was born and I was struck by how often I was writing about her our adventures with the urban wildlife of San Francisco. So I’m playing with the idea of starting with these toddler’s-eye-view stories from my journal, and then researching our observations and writing down the most interesting bits to produce a father’s field guide to the urban ecosystems that so many of us walk through without ever noticing. Stephens’ stories follow three children who have been hidden by the wizard Stanislaus Pym at the Edgar Allan Poe Home for Hopeless and Incorrigible Orphans, but are soon discovered by their enemies. In Chronicle, Kate is chased 100 years into the past to a dangerous and enchanted New York City and left searching for her brother and sister, Michael and Emma, who are following clues into a hidden world to find the legendary book of fire. Is it easier or harder to write the second book in a trilogy? Writing the second book is both harder and easier. On the easier side, you already have your main characters. You know who they are, their strengths and weaknesses. Also, in a trilogy such as this, you have a certain level of story momentum. There are specific plot points which have to happen. Granted, you want to get to them by unexpected paths, but you know that sooner or later you have to get to them. That said, writing the second is in many ways more difficult than the first. The first I wrote more or less in private, almost on a lark. There was no deadline, no one waiting for the book. I could write in my own time, and if the book ended up stinking, well, no one ever had to know. With the second book, there was a deadline. People were waiting. The pressure was totally different. When you write a first book that ‘works,’ it feels like you somehow managed to pull a rabbit out of your hat in the privacy of your own office. Writing the second book, you’re suddenly on stage in front of a thousand people, and there’s a worldwide rabbit shortage. And you’re naked. 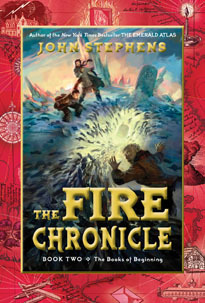 Did you start The Fire Chronicle soon after the first book? How long did it take you to complete it? I started The Fire Chronicle when I was in the process of selling The Emerald Atlas, which in some ways meant going from one book right into the other. You have to understand, I was kind of terrified. I had managed to write one book, but to me, all that proved was that I could write one book. Who was to say I could write two, much less three? But I’d signed a contract promising three. I had this image where angry publishers would come to my house and take my dog when I failed to produce the books. From my first notes to the locked book was almost exactly two years. Two wonderful, wonderful panic-filled years. Have you completed book three? What are you working on now? I have not completed book three. I have done a rough outline and begun writing. Though right now, I’m taking a little bit of a break to direct a couple episodes of television. After two years alone in a room, I worried I was getting a little weird, and I felt it’d be a good idea to venture out into the world before I descend again into my hobbit hole. During his Pomona College days, Dan Hickstein ’06 landed a prestigious Churchill Scholarship to study at Cambridge (where he earned his master’s in physics), co-authored articles for such publications as the Journal of the American Chemical Society and completed two internships at the National Institutes of Health. 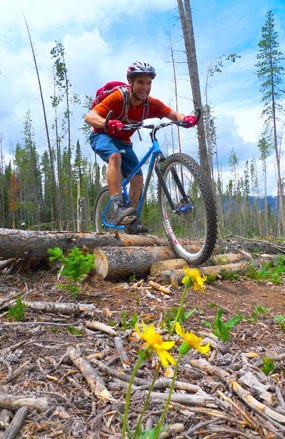 But Hickstein also knows how to let off some steam in the great outdoors, and he recently took a year off from pursuing his Ph.D. in chemical physics at the University of Colorado at Boulder to write The Mountain Biker’s Guide to Colorado, earning rave reviews on amazon. The result: 367 pages chock full o’ trail details and ratings, maps, photos and even tidbits on bike shops and places to eat from Fort Collins to Aspen.